By buying this product you can collect up to 537 bonuspoints. Double-slip switch DKW 15 version Baeseler, with outside tongues. Length 230mm, crossing angle 15 deg., effective turnout radius 1050mm. 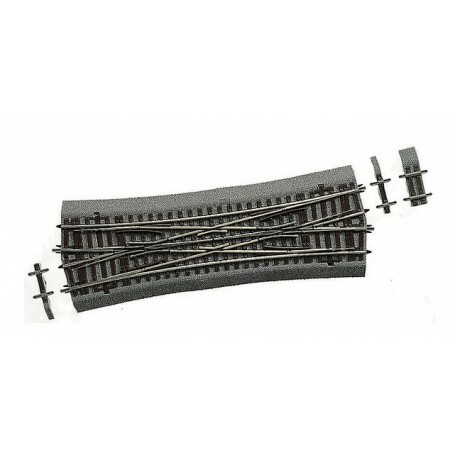 Polarized ex works due to the electrical requirement of this diamond crossing with slips. For installation of diagonals, two off D4 and one off D12 are enclosed. With bedding. For Art. No. 42546: Matching electric drive 42620 (2x) or 42624 (2x).